Best villa in Bali always gives a special feeling of your romantic trip to Bali. Panoramas of Bali plays the emotions of every single traveler. For beauty addicts, Bali like the second home to stay. All the single corner of Bali offers a special sensation of fulfilling heart with satisfaction. No wonder if every year the queue of visiting Bali is always getting longer. Something you will regret in your life is if you never visit Bali. The exotism of Bali natural view will warmly welcome you. Well known as the island of Gods, the Gods know that they have to give the most beautiful island to the mortal. Knowing its beauty, Bali completes it with the best villa for you to stay in. Bring your best people around you here to put you in the best magnificent beautiful harmony. This information will stimulate your desire of beauty to visit and stay in the best villas of Bali. On the first list, let’s go to Nusa Dua Bali. This part of Bali is famous for the beaches and prestige enjoyments. Amarterra Villas Bali Nusa Dua – MGallery Collection is happy to welcome the beauty addicts. If you choose this Villa, you will get the most exciting service of hospitality. Besides the enchanting view of the villa, you will get your most comfortable service. Each villa is complete with satellite TV, wifi connection, wardrobe, and many more. Relax in your personal swimming pool and enjoy your best Q-time. Dining room, shower, and the bathtub are comfortable to use. You will also taste delicious of Indonesian food. If you want the other option of cuisine, the international food is also nice to taste. Furthermore, you can explore the famous landmarks surrounding. It is only 3 minutes walking from Nusa Dua beach. If you like shopping, Bali collection is only a few minutes. Another option is Geger beach. Pandawa beach is also close to visit. In addition, this accommodation is only 15 minutes from Ngurah Rai international airport. You can easily reach it with your private rent car. Move to Uluwatu and you will come to the magnificent of Karma Kandara. This accommodation is appropriate for family vacation and couples. Bring your children here and they will like to join the beach club. Spending time with couple gives you the warmest feeling of deep love. 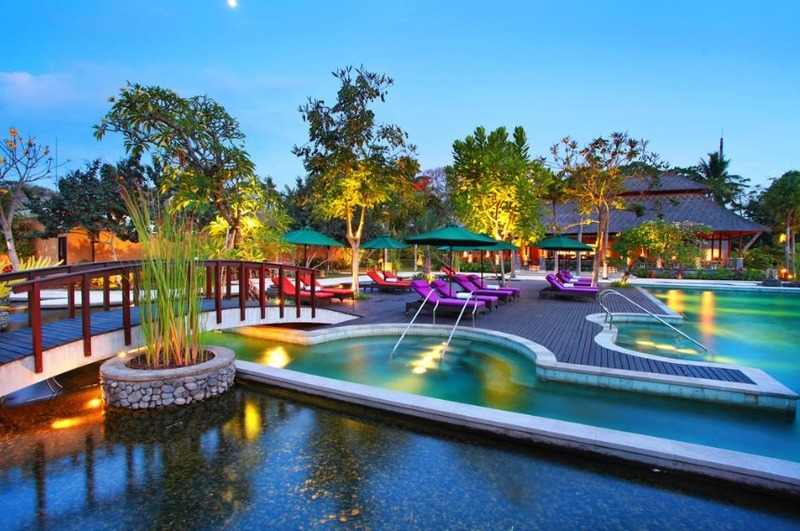 As an information, this villa is one of the exotic honeymoon villas Bali. Entering the villa, the beautiful panoramas of the ocean will first welcome you. This villa is situated in Ungasan hill and faces directly to the Hindia ocean. The great sea and its beauty are loyal to accompany you during your stay. Let’s see the facility. All area of Karma Kandara is covered with wifi connection. A personal pool is ready to keep you relax on it. Gymnastic center, spa, and beach club bring you to experience the true holiday. What about the room? It is highly recommended to try and extremely comfortable. Each villa is complete with furniture. Dining room, living room, and kitchen make it feel like home. Furthermore, the Asian cuisine with a special touch of western style is ready to spoil you. Mediterranean cuisine also available for your other option. In addition, you can reach this accommodation only 11 km from the airport. Use your own private car rental or the pickup service from the villa make you easier to reach it. Another information, some tourism areas are close too. Pandawa beach and Garuda Wisnu Kencana are the favorites ones. Pura Uluwatu is only a few minutes away. Just put this villa on the top list of your holiday in Uluwatu. You like it, love it, and wish to have it. Close to Uluwatu, you have Jimbaran which is famous for the seafood. Check your visit-list of Bali trip again. If you find Jimbaran on it, don’t think too long to get Lumbini Luxury Villas and Spa. This villa offers you a modern minimalist design to stay in. It is comfortable and makes your mind fresher. Stay in with this luxury villa and feel the best service of hospitality. Located only 20 minutes from the airport, you can use pick up service to reach it. It is also near to some popular landmark of Bali. Garuda Wisnu Kencana and Jimbaran Corner are only a few minutes. Then, what facility makes it worth to choose?. Each villa is large and full of wifi connection. It is also complete with flat TV, Air conditioner, and comfortable bathroom. If you are here with your family, having barbeque is nice to do. You kids will love and enjoy it. Further, your long trip to Bali is complete with delicious Indonesian food. The other option is the international food, all is worth to try. Never miss to relax at the swimming pool, it is so much relaxing. Classic !! 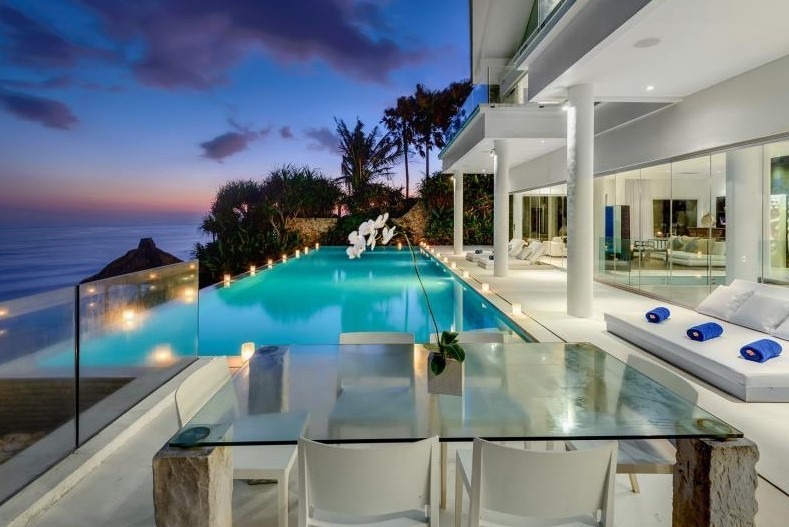 the first feeling and impression of this luxury villa. Stay in here and it will like you are in the lost palace of Bali. 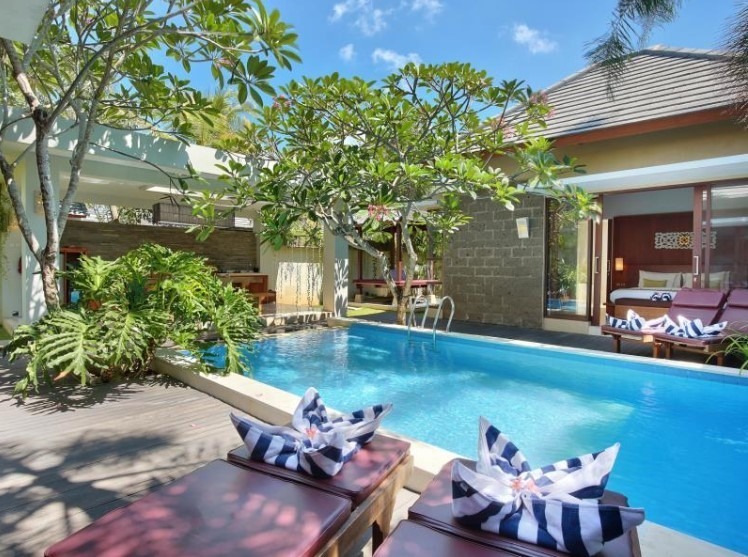 Citrus Tree Villas is located in Legian, Kuta. You only need a few minutes from Ngurah Rai International Airport. It is also close to Legian Art Market, the best place to look for souvenirs in Legian. How can you enjoy this accommodation? Just relax, relax, and relax. The first thing is laying down on the edge of the swimming pool while having a classic view around. Enjoy it with your couple and feel the sensation of Bali lost palace. Further, lets come to the villa and see what you get there. You will get a complete facility with a comfortable area to relax. TV with CD player is ready to entertain you. The bathroom is comfortable to use after your long trip. In addition, you can use barbeque facility. Have the warmest moments with your family with it. if you are hungry, just visit the famous Made’s Warung. It is close and only a few minutes to visit. For a shopaholic, satisfy your desire of shopping to Bali Beachwalk. It is also only a few minutes from Citrus Tree Villas. Spending your holiday in Bali will full of fun experiences. The accommodation also gives you the ease to enjoy this Island. Put one of the lists above and feel the true sensation of best Gods’ gift. Enjoy Bali, Enjoy the villas, and Enjoy yourself.